Choi! This woman is on fire man! To the point she was speaking in tongues in the course of the interview… keep reading, you’ll see. 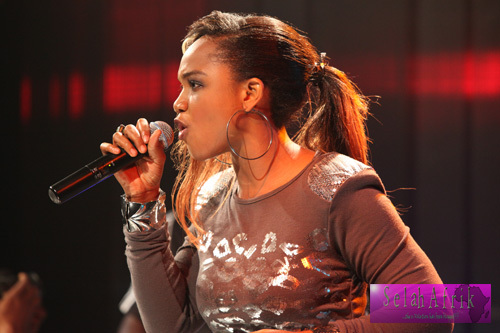 I have been coming across the name – Ada before I came across her music. That was around the time“Bobo Me” hit the airwaves… I just never placed the artiste and the song together. Then, while I was celebrating my birthday on May 6 2013, somewhere in the camp of FreeNation Inc, 2 massive tracks were bidding the camp farewell with a promise of returning with dividends… let’s just say part of the dividends is what sparked this interview. With upcoming videos, album release and concerts, Ada and her music sure ain’t playing! She hit the scene under LoveWorld Records as party of the vision of the label to launch dynamic and contemporary ministers of songs into the harvest field, a vision which according to her was accomplished. She released her first LP under the label. 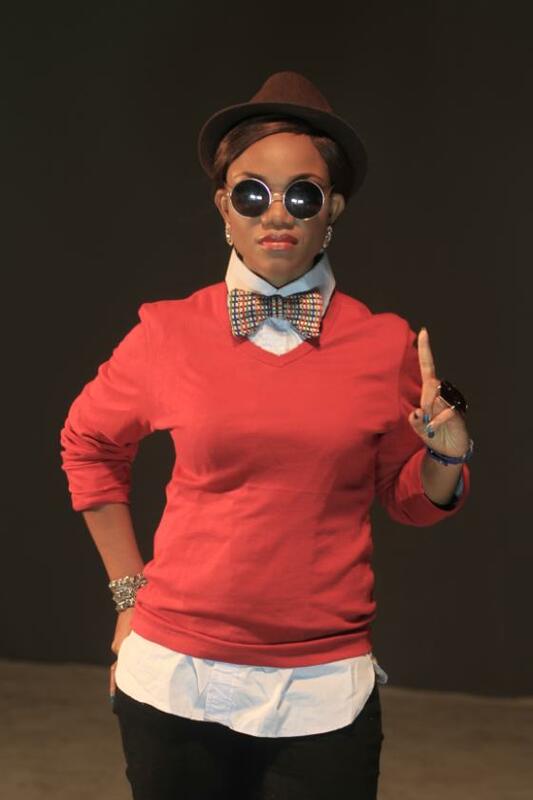 Haven left LoveWorld, she was signed on to FreeNation Inc as the flagship artiste of the label. Ada has released “Bobo Me,” “I’m Rich,” “Oh Koko,” which featured Samsung, Eben, Protek,amongst others and she has said the album is due for release before the year runs out. As we await the all these which Ada has revealed, I engaged Ada in a chat.The most astounding thing I found out is this; forget the swag, forget the pretty face and the vocal strength, this chick is not your regular artiste, she’s on fire for the Holy Ghost, every other thing you know about her is just a product of the former… still in doubt? Hear from Ada’s mouth! SelahAfrik: Hello Ada, can we get to meet the real you? Tell us about your background, childhood, where you hail from, family, etc? Ada: My name is Ada Ehi, I’m a minister, a faithful witness for Jesus, wife, mother, daughter, sister, friend and artiste. I was brought up in a Christian home , the 2nd of 4 children. Grew up surrounded by music and creativity. SelahAfrik: Haven Studied Chemical and Polymer Engineering at the Lagos State University, how come you opted for music? Ada: Well, music was and will always be my first choice. My parents are well read and believe very much in education. They never forced any of us in any direction but ensured we were well schooled and for that, I’m eternally grateful. SelahAfrik: Did you ever practised with your certificate? SelahAfrik: Tell us the details, your encounter with Believers LoveWorld fellowship while on campus and how it transformed your talent into a ministry. SelahAfrik: Your song are mostly declarative, have you had any testimony from people whose lives where touched by these songs, tell us about that. Ada: I told you am a preacher, am a product of the word of God and as Jesus spoke and speaks so me do I, I speak… I Spoke… I’m speaking… Yes of course, numerous testimonies, salvation, healing, renewed mindsets, name it, I declare the word and the word ALWAYS PRODUCES, NO MATTER WHO, WHAT, WHEN OR WHERE (I just can’t help but to leave that in caps… Ada is on fire! ), most profoundly, the number of testimonies of people, young and old, white, black and brown saved from attempted suicide after listening to some of my songs. SelahAfrik: We’ve heard quite a number of singles from you, when can we finally have your album? Ada: This year, it’s in the final stages… dates are not precise for now. SelahAfrik: As one of the InnerCity MissionAmbassador, tell us about InnerCity Mission and your role. SelahAfrik: What prompted your move fromLoveWorld Records which released your first LP“undenied” to FreeNation Inc? 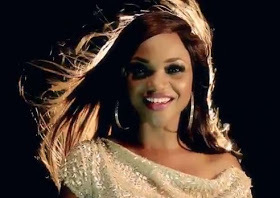 Ada: I am and will always be an artiste of loveworldrecords. The mission was to discover, build and send forth a unique and new set of music ministers into harvest field. They succeeded. Voila! Here I am! FreeNation Inc is an indie label, and I am their pioneer Artiste. SelahAfrik: I love the song “Oh Koko,” I think it’s one of the most creative gospel song right now but please, what is the meaning? SelahAfrik: We just did an article on you where we talked about your exceptional beauty, can you tell us how you have manage to stay this exceptional, even as a mother and wife. Do you have a beauty therapy that keeps you looking this good? SelahAfrik: What’s your beauty routine getting ready for a ministration, event or red carpet? Ada: Mehn , I just try you know, I like to do what I like and look good in much more than keeping with trend. Then, for Ministrations… I roar in tongues! SelahAfrik: Do you work with stylist? Ada: Yes, I have an exceptional stylist, am sure she is feeling cool now reading this (laughs) . SelahAfrik: What’s in your makeup bag? SelahAfrik: Which makeup item can you not leave home without? SelahAfrik: What’s your most comfortable outfit? SelahAfrik: What is the most favourite amongst the items in your closet? Ada: I have a lot of favourites though… a lot of cherished gifts, especially from my Bobo (I’m humming“Bobo Me” on Ada’s behalf). SelahAfrik: Do you have a signature fragrance? Ada: Mbaaa… Mbaaanu, if they pay me, maybe… but I will still add join. SelahAfrik: Tell us about your family, how do you juggle being a wife and a mother with your ministry? Ada: I have the best… the most understanding and supportive family. God is so good to me oh, everything I asked for and more, my father gave to me. The Holy Ghost does it all. SelahAfrik: Any upcoming event, project, single, we should know about? Ada: many, plenty, numerous, its plenty o, but I love the surprise thingy… but you all know my album is loading and the live in Botswana Concert featuring Frank Edwards and other artiste, also Charmain2DL just released a single where I featured so there you go. Lookout for new videos too. SelahAfrik: Please give an advice to pretty females like you out there who are yet to encounter Jesus, use your testimony to encourage them. Ada: Beauty (chuckles), is vanity, just like flower, it blossoms and fades, and no matter how beautiful you are, someone, somewhere is more beautiful. A lot of beautiful women are dead! what we remember is the impact they made! A good name outlives beauty. If you don’t have Jesus, your beauty cannot move a mountain, mine can, #justsaying. SelahAfrik: Okay Ada, It’s time for you to make your shout out! Shout out to everyone, Everyone born of God. Most Respect and love to Jesus my Lord and Saviour, Bros Jay Sir, your girl is forever loyal. Pastor Chris Oyakhilome Sir, I salute you, thanks for teaching me the word of God and raising in me a Nation for Jesus. My kids, My husband and Friend Moses, I love you. To Every Minister of the Gospel, Cheer up, the word is working… BOOM!